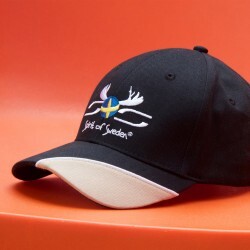 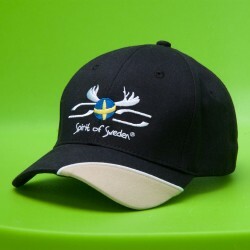 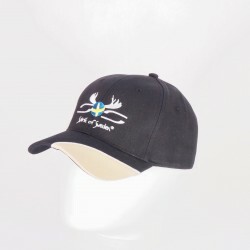 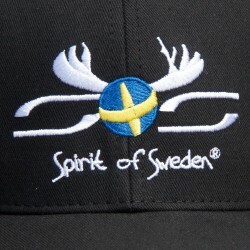 Black crown, black button, Spirit of Sweden® logo embroidery on the front, Spirit of Sweden® behind the vent. Black top with beige yoke and white edging. 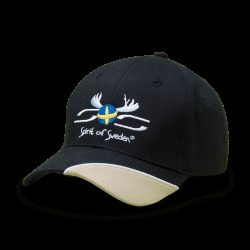 Femeture by strap in black leather and metal ball.